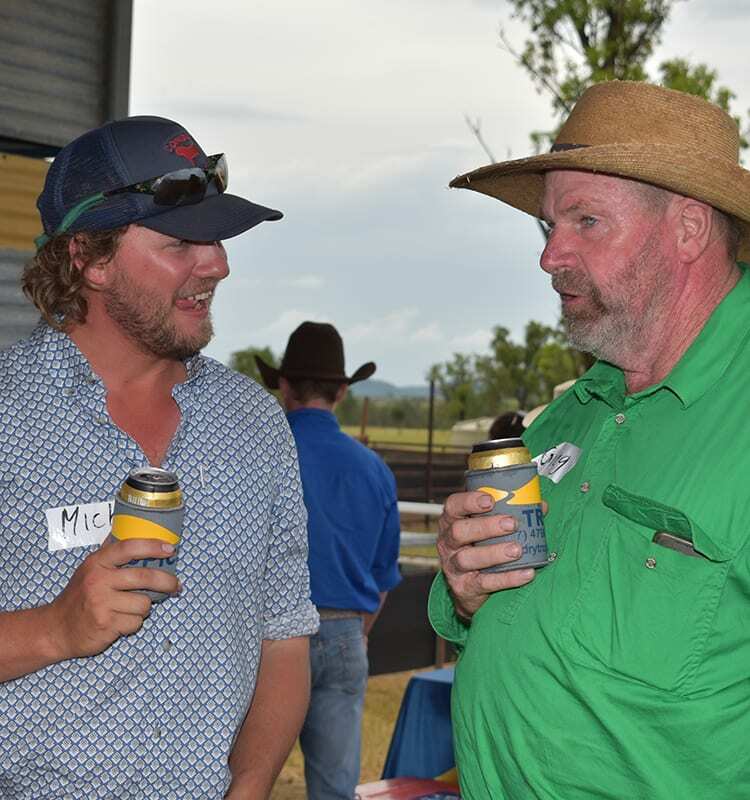 LDC's Brendan Smith and Brett Scott, Flagstone Station. 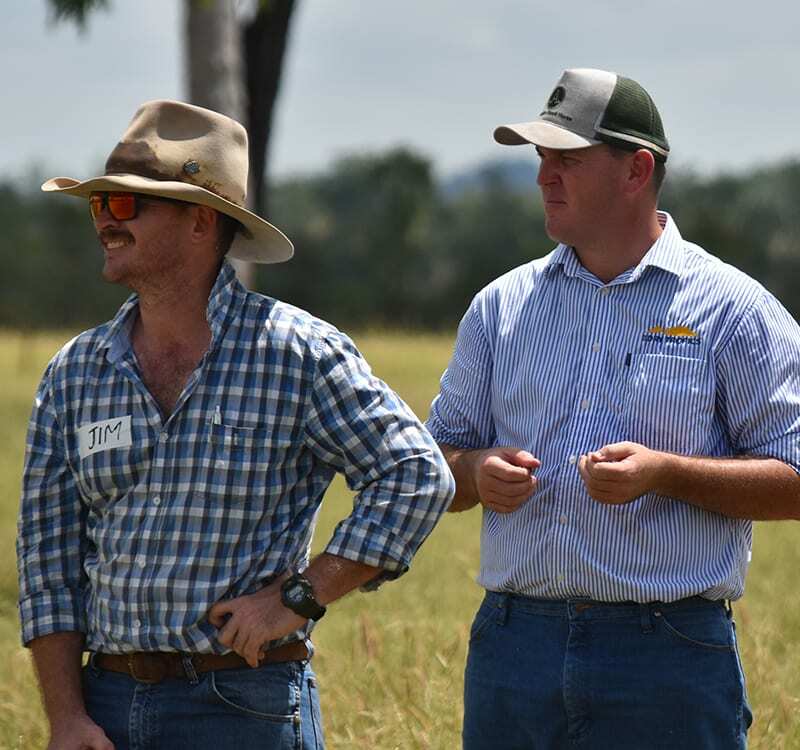 Jim Fletcher, DAF, and Brendan Smith, NQ Dry Tropics' LDC. 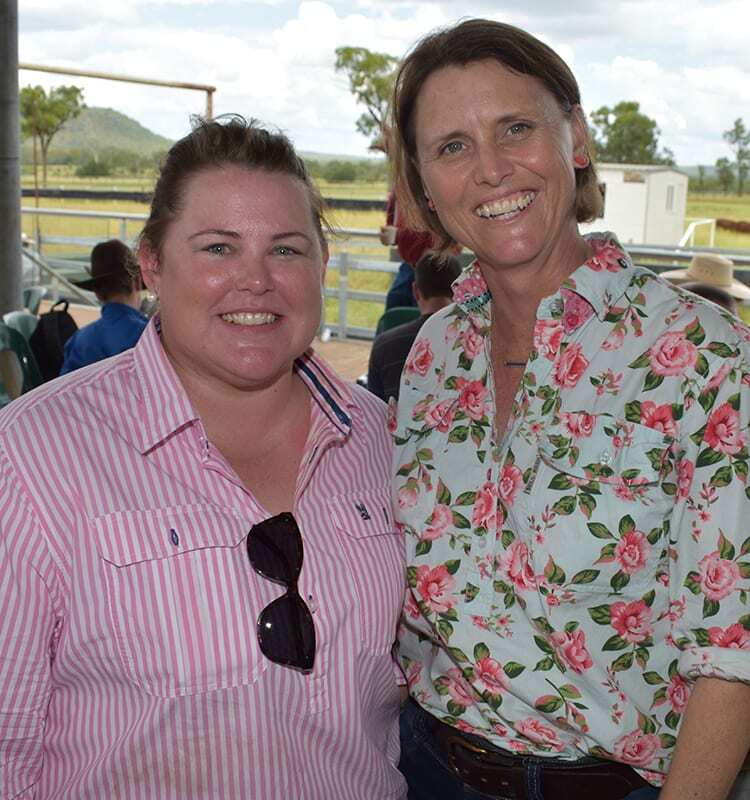 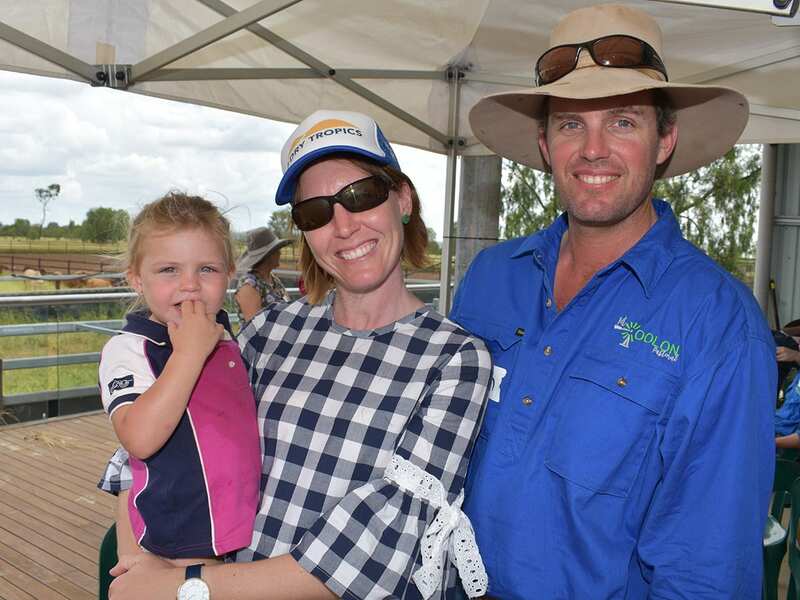 Jamie Gordon, Mt Pleasant Station, and Jane Weir, Amelia Downs Station, near Charters Towers. 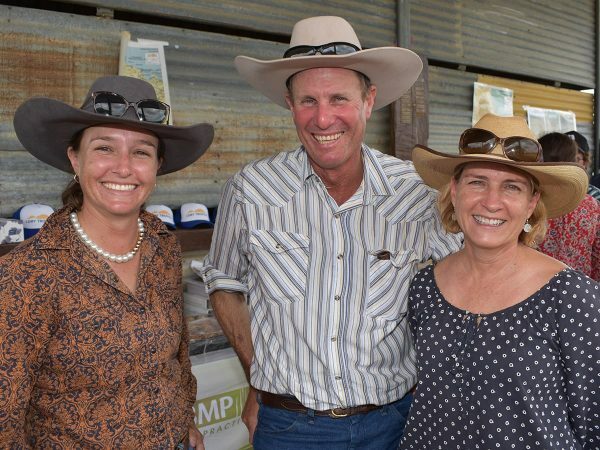 Natalie and Mick Comerford, and Errol Comerford, of Exmoor Station. 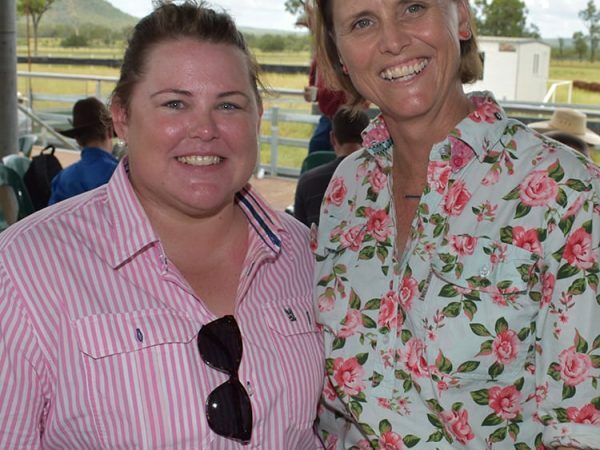 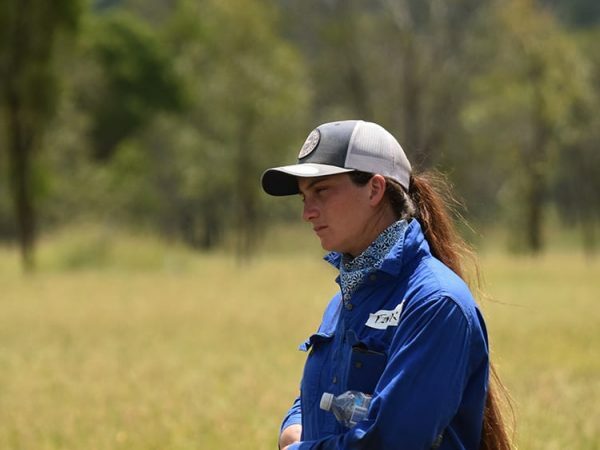 Leanne O'Sullivan, Glenalpine Station, and Julie Muirhead, Weetalaba Station. 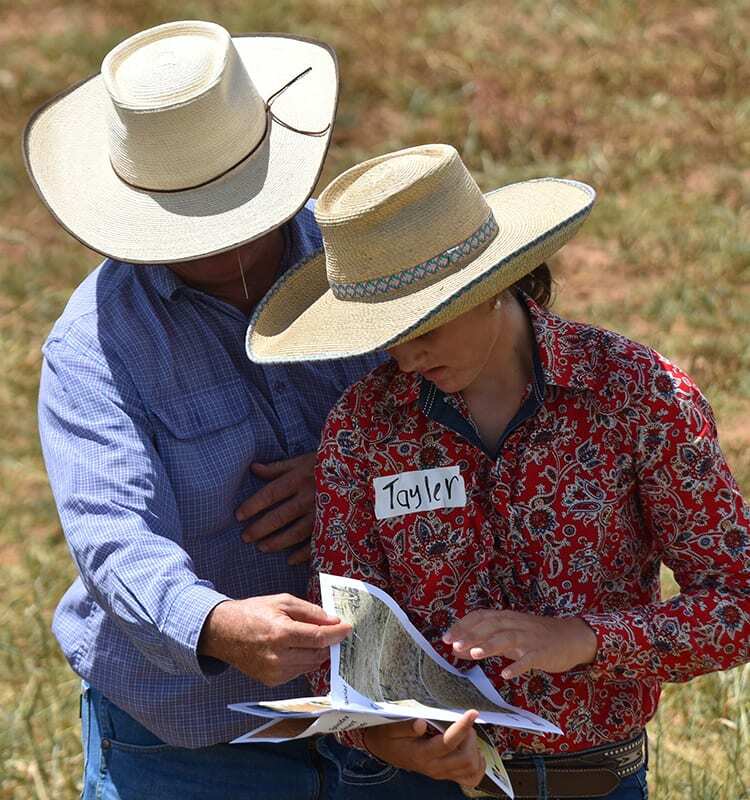 Father and daughter Clay and Tayler Kenny, of Llanarth feedlot, Belyando Junction, look through the 'how to measure grass' notes. 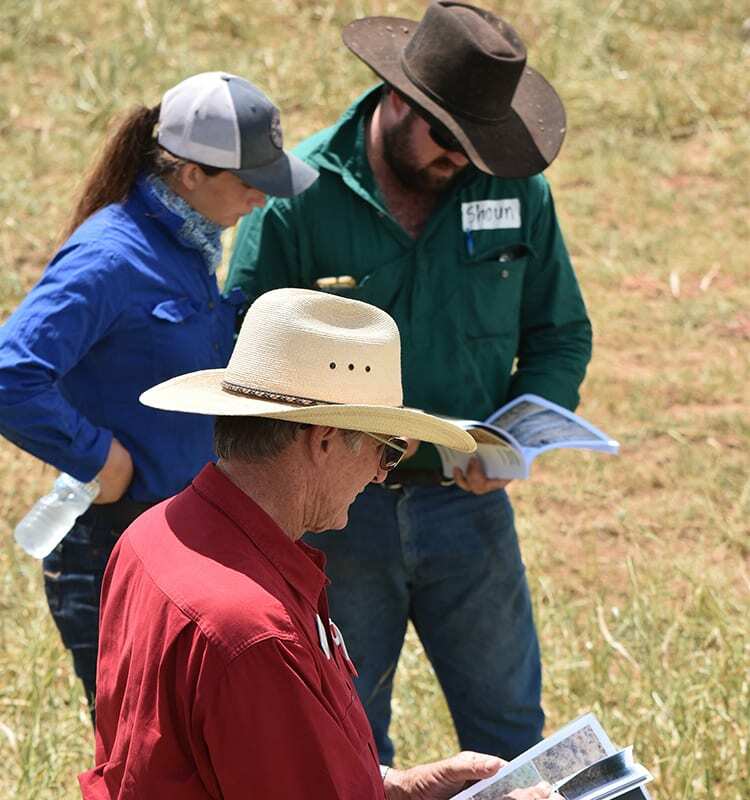 Raymond Tracey, RCS, talks about how to measure grass in the paddock, pictured with Telise Dodson and Shaun McDonnell, Stratford Station. 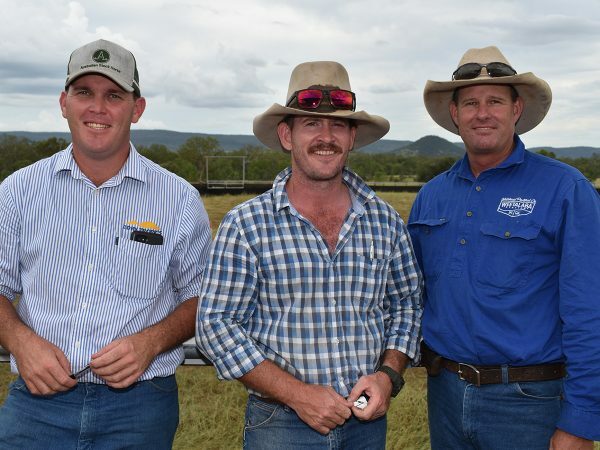 Jamie Gordon and Louis Moulin-Gordon, Mt Pleasant Station, and Greg Ashton, Bowen. 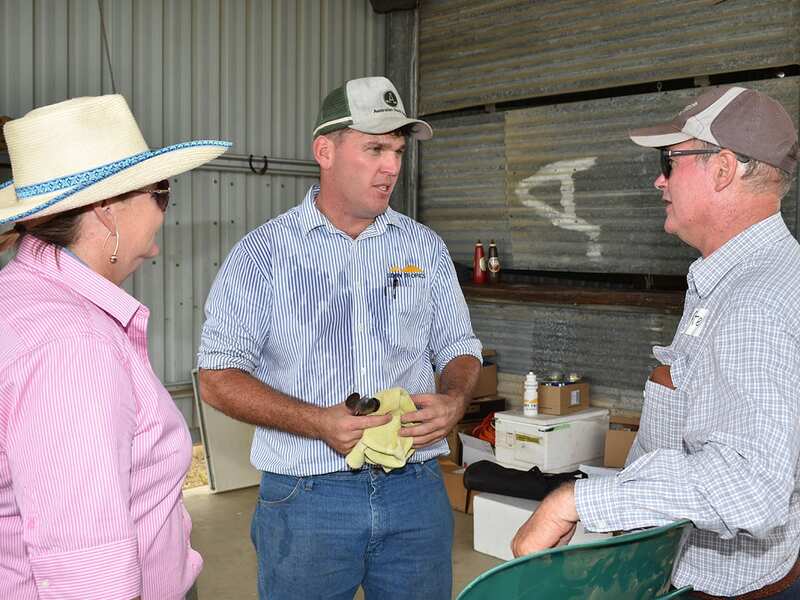 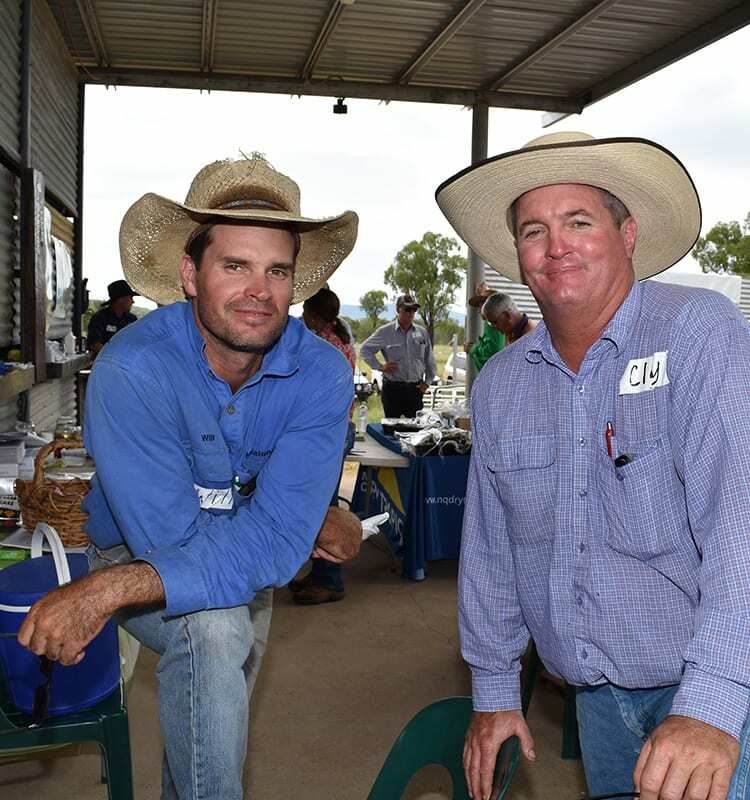 Michael Pini, Lancewood Station, and Greg Ashton, Bowen. 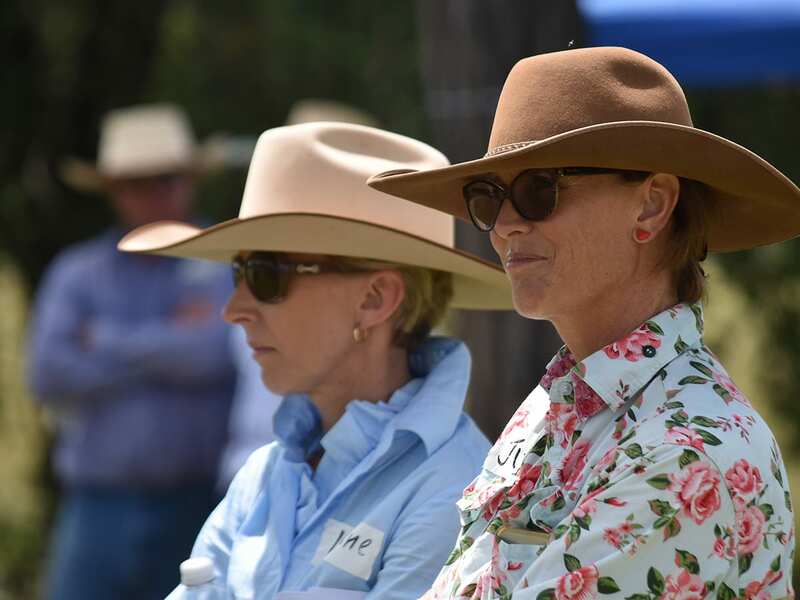 Vivian Finlay, DAF, and Julie Muirhead, Weetalaba Station. 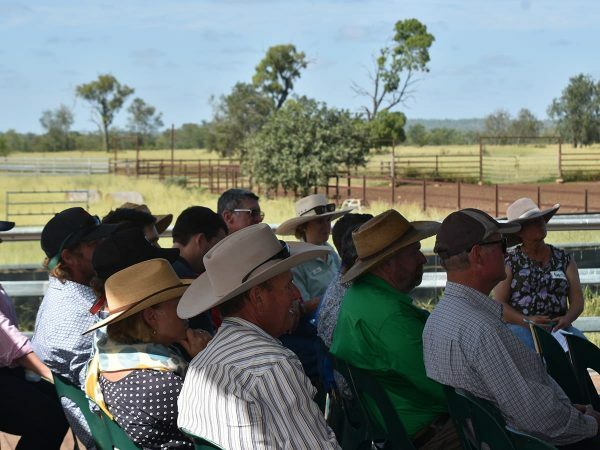 FIVE quality speakers from RCS, DAF and cattle producers gave informative presentations, and the common message from all speakers was “good grazing and pasture management is vital if you want to keep your land productive”. 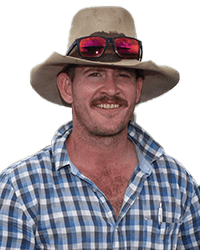 stock days per hectare per 100 mm of rain. 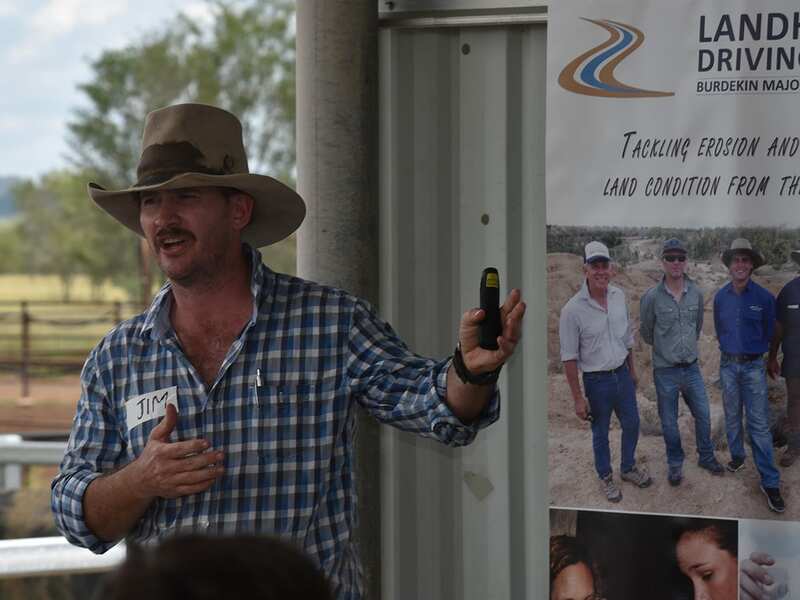 “NIRS technology enables producers to assess diet quality, so they can make proactive, timely decisions. 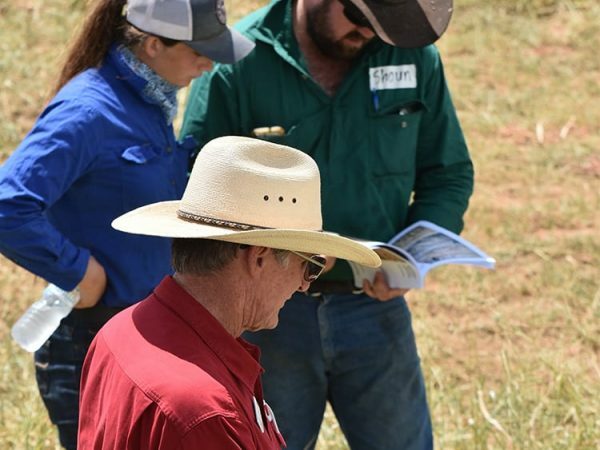 “Weaning rate, classes by age, sales, approximate joined breeder and heifer numbers. 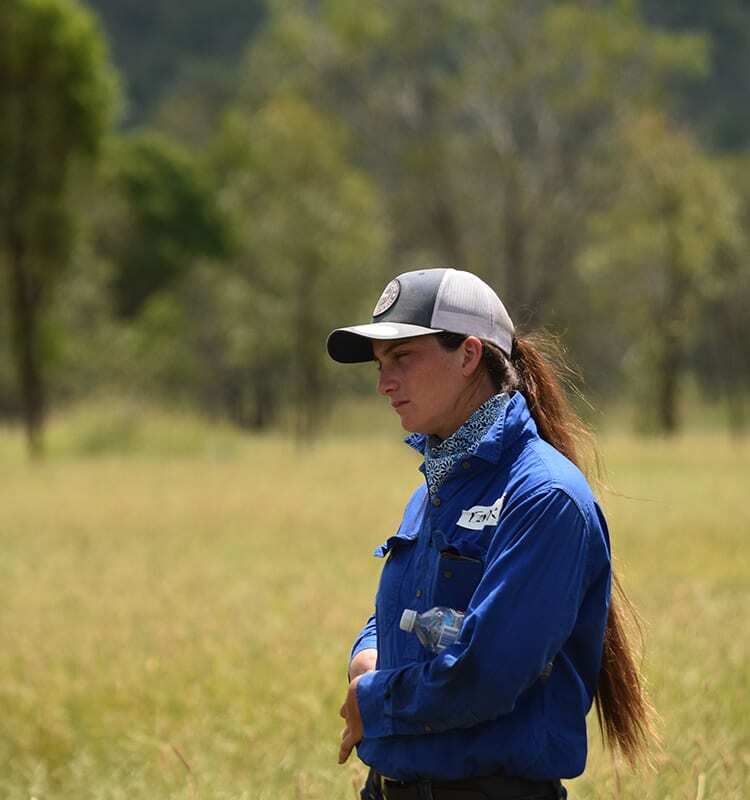 and preg testing will tell you your grazing pressure, and can help you predict your cash flow”. 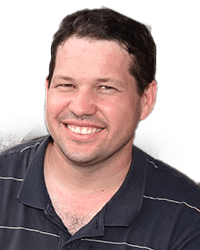 “Money is made in the bad years, if you plan”. 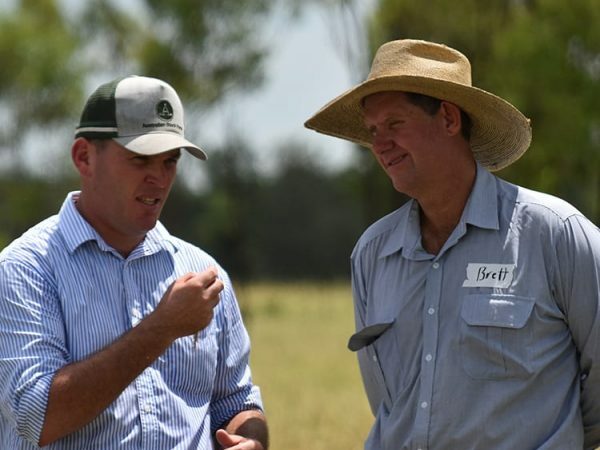 “Be brave enough to change a few things – a few minor changes can make a big difference”. 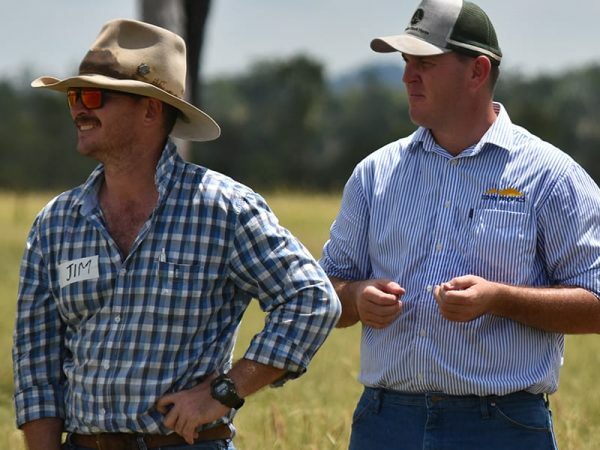 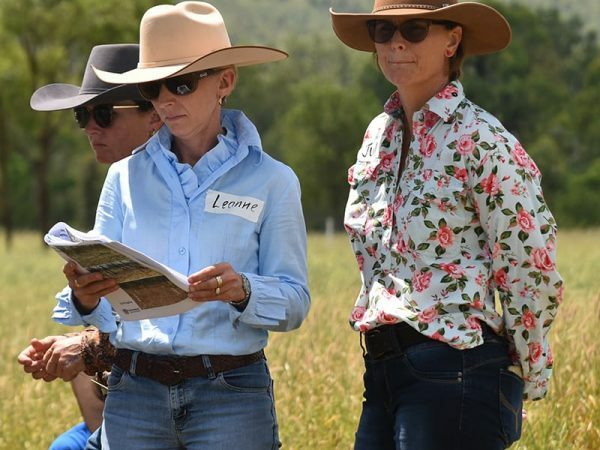 AS part of an integrated program the LDC team in conjunction with project partners RCS and DAF is delivering a series of workshops and supported activities throughout 2019.
helps properties increase farm productivity and profit while also improving the environment. 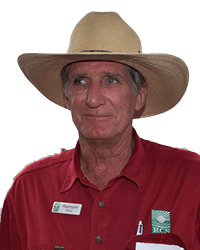 Forage Budgeting – Measure the feed supply for the coming dry. 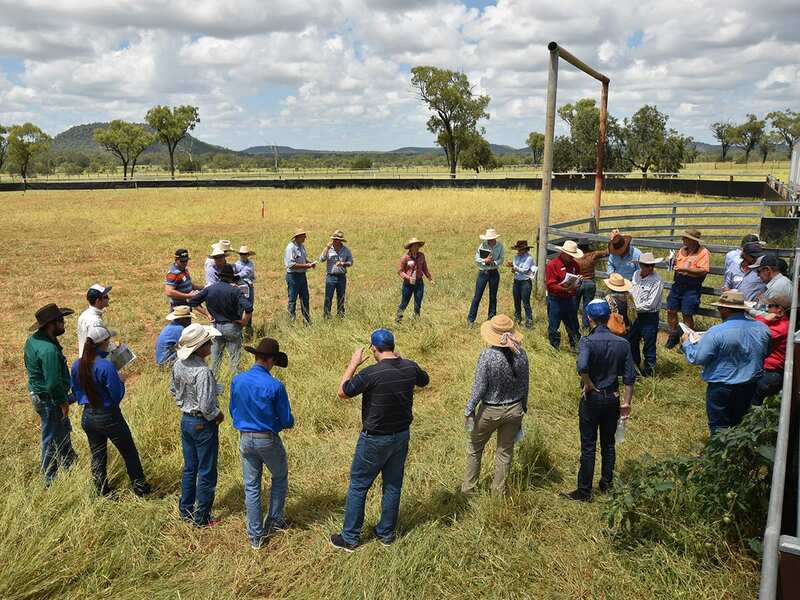 The LDC team and partners will undertake property or paddock assessments. 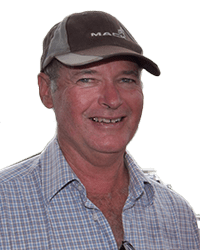 Photo Monitoring Sites – Record and monitor visual changes. The LDC team and partners will install sites and record this data. 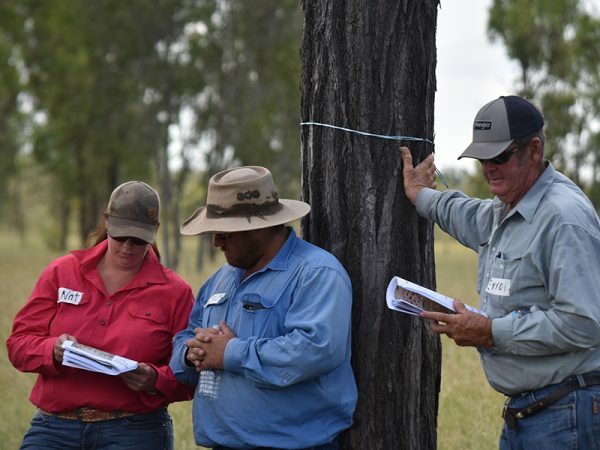 Soils testing and analysis – have a professional test and provide a detailed soils analysis for your paddock or property. 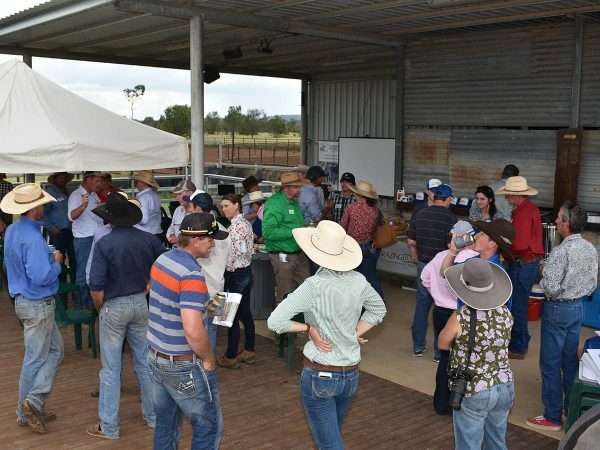 These options are available free of charge. 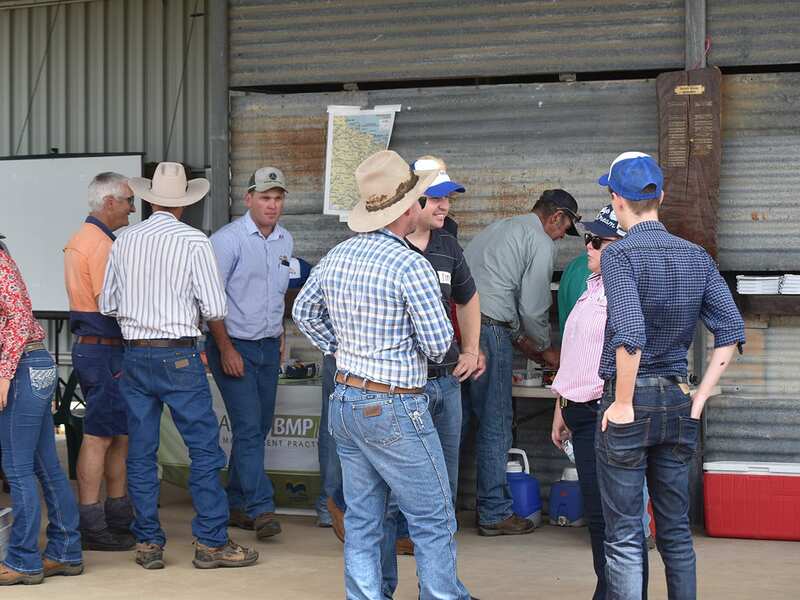 We do encourage properties to be actively involved in the data collection process. 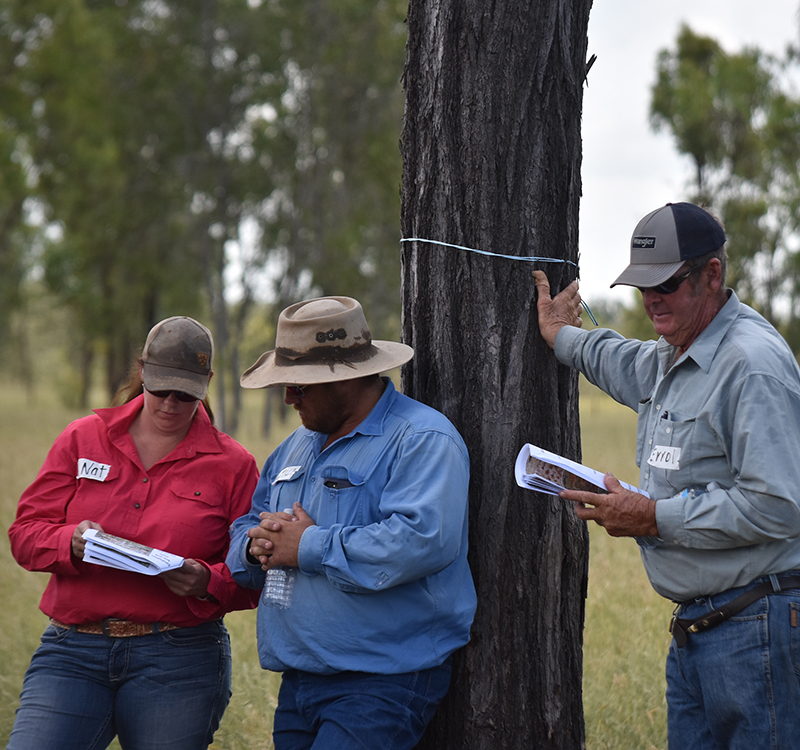 Once collected, all information will be presented back exclusively to the landholder only. 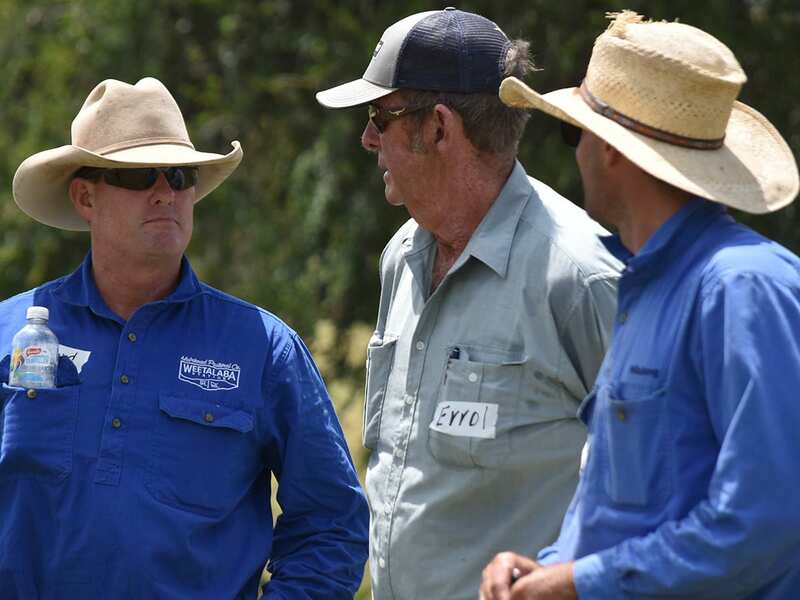 Data will not be shared unless approval to do so is given by landholders. 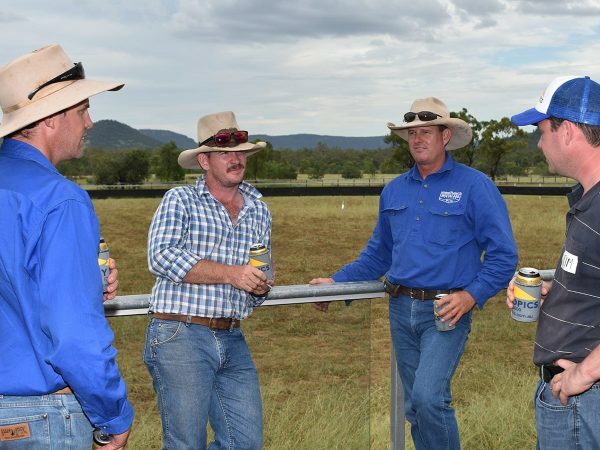 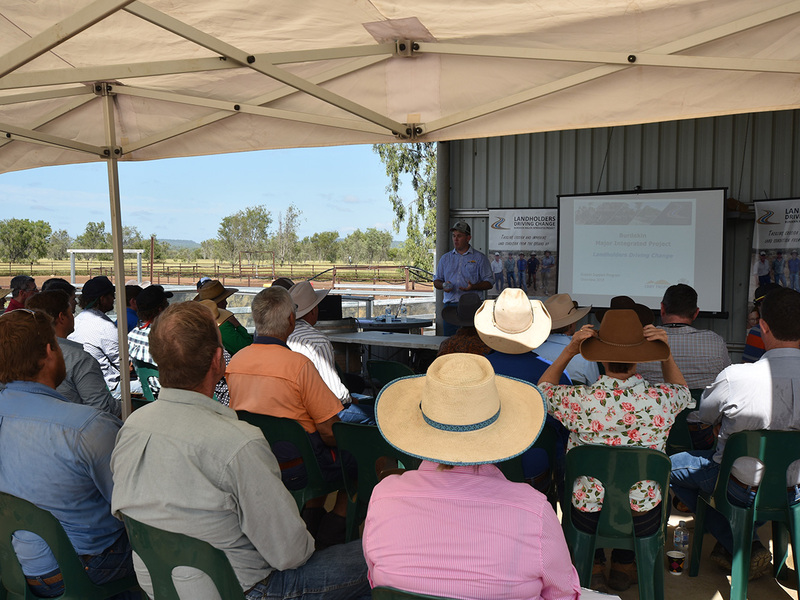 LDC Senior Grazing Officer Brendan Smith, guest speaker Jim Fletcher, DAF, and Reid Muirhead, Weetalaba Station. 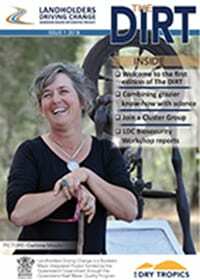 Reid and wife Julie kindly allowed LDC to run the workshop at Weetalaba. 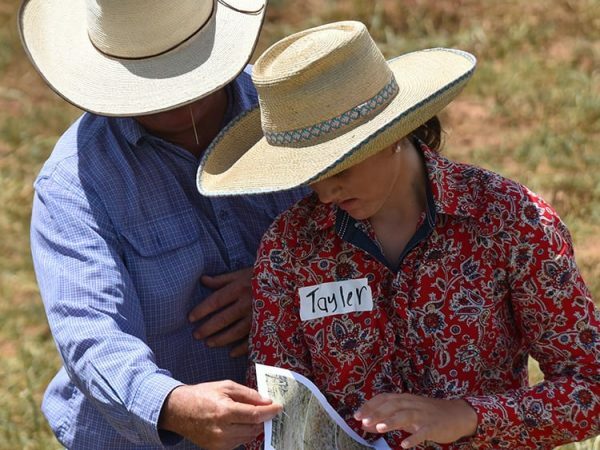 Gos and Denton Sullivan and their daughter Layla, Mt Coolon Station. 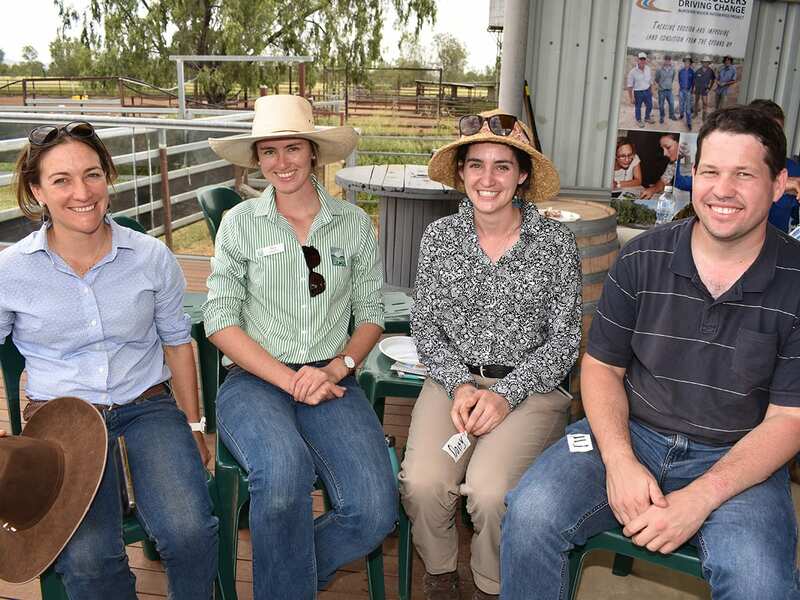 LDC project panel member Jessie Norman, Mt Pleasant Station, with Ben and Julie Pini, Lancewood Station. 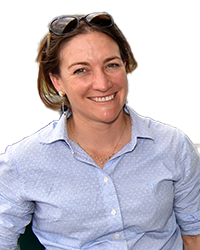 Guest speaker Jane Weir; Amelia Downs; Bec Clopperton; RCS; Daisy Denny; DAF; and guest speaker Tim Moravak; DAF. 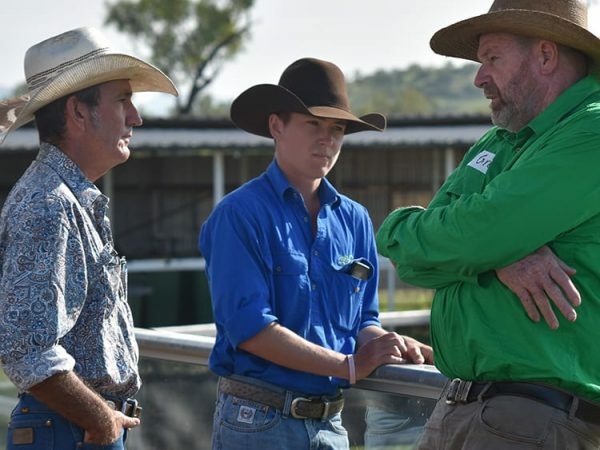 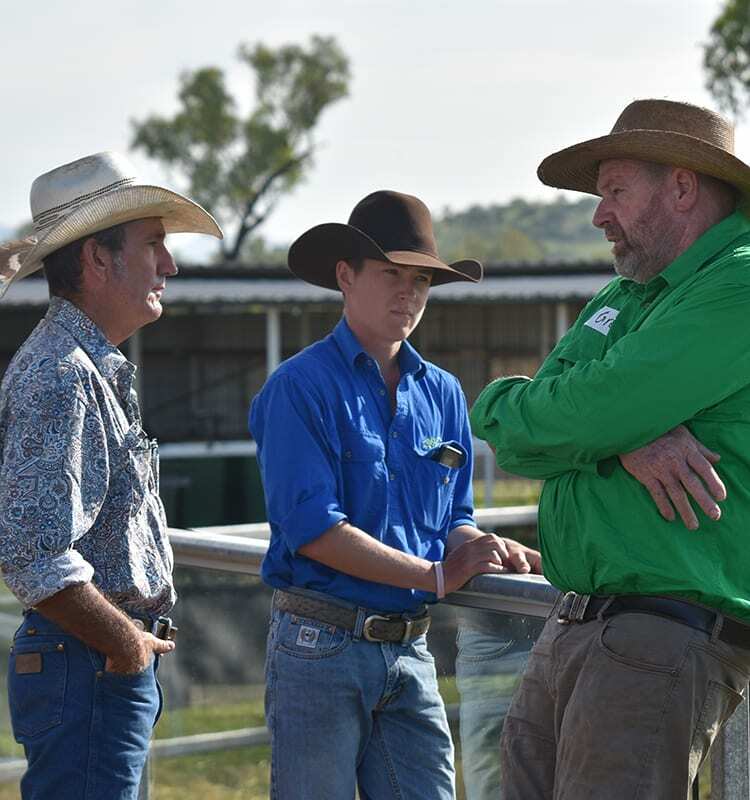 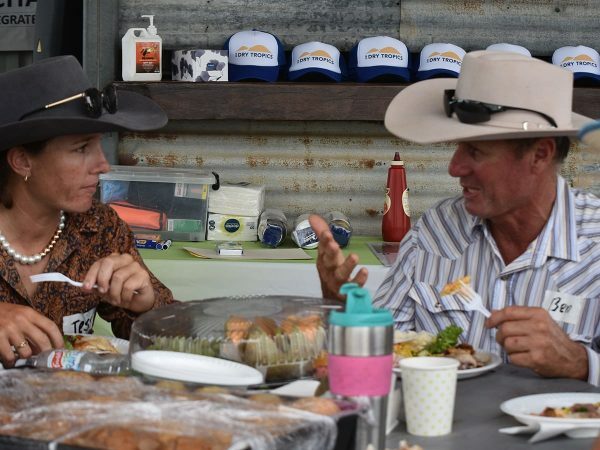 Dale Pini, Lancewood, and Tayler Kenny, Llanarth feedlot. LDC's Lisa Hutchinson, Leanne and Barry O'Sullivan, Glenalpine Station, and Mick Shannon. 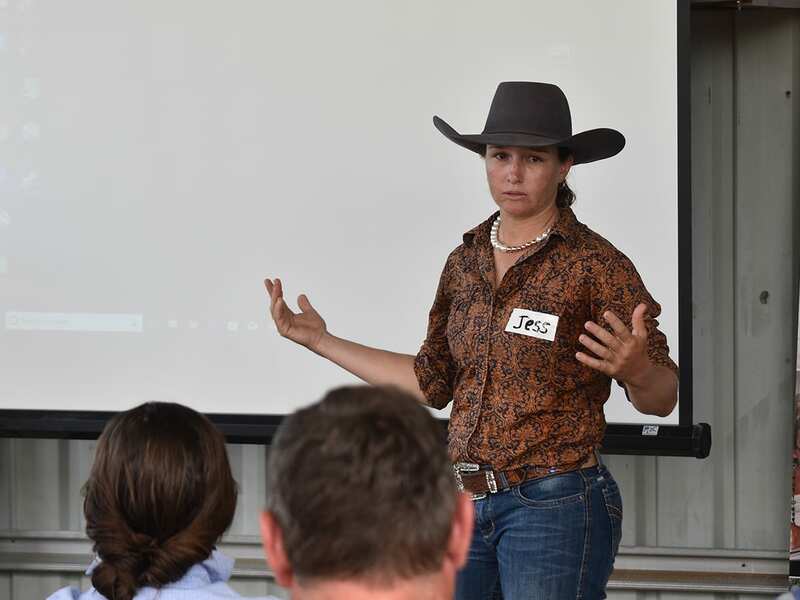 LDC project panel member Jessie Norman, Mt Pleasant, provides a rundown to the crowd as to why she became involved in the LDC project. 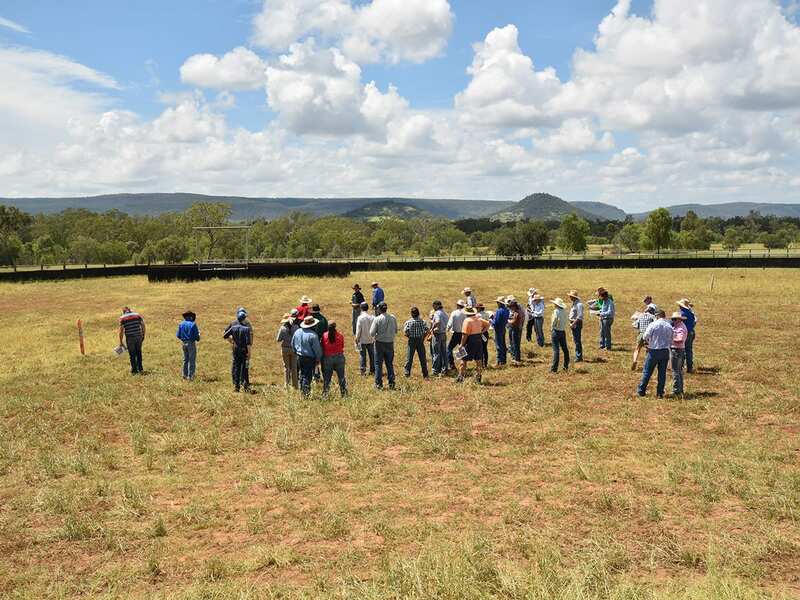 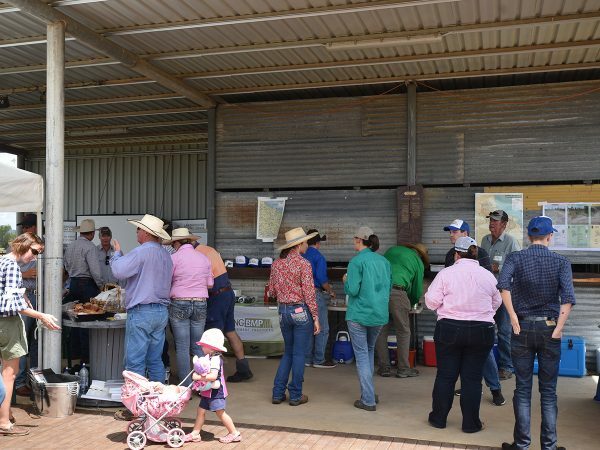 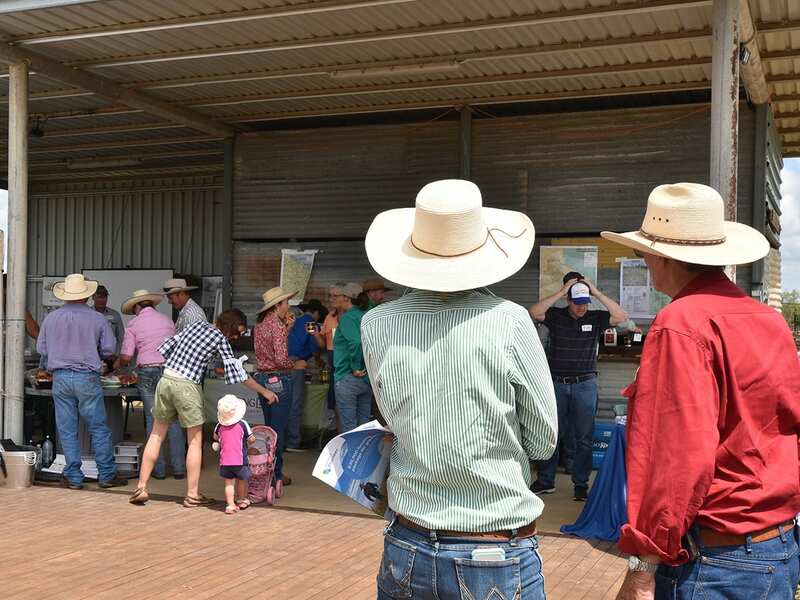 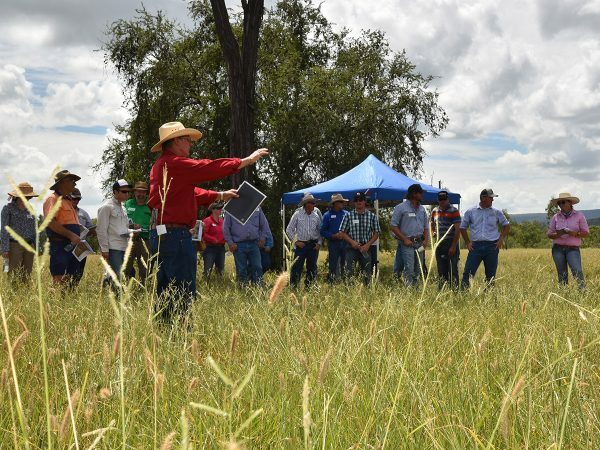 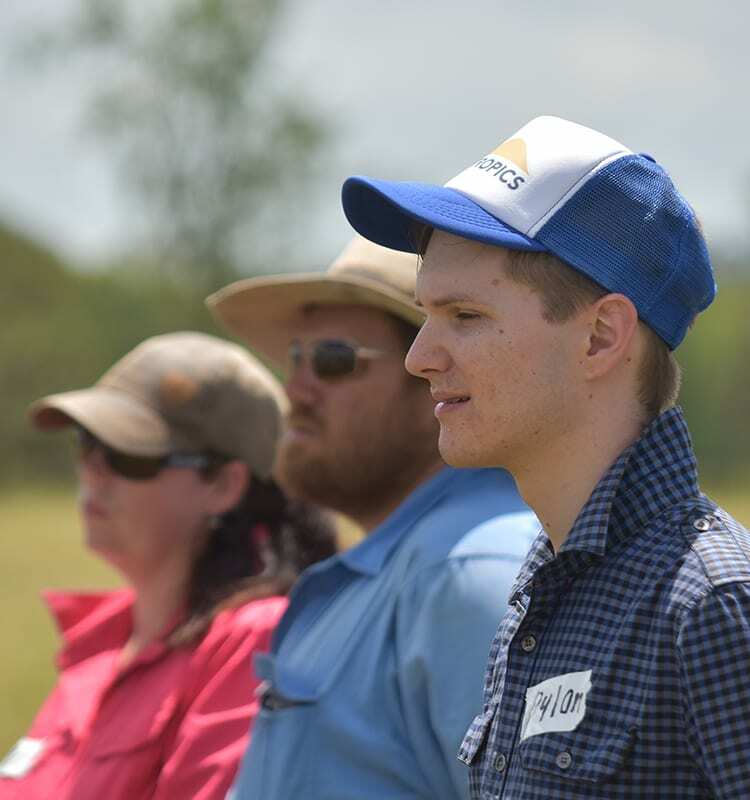 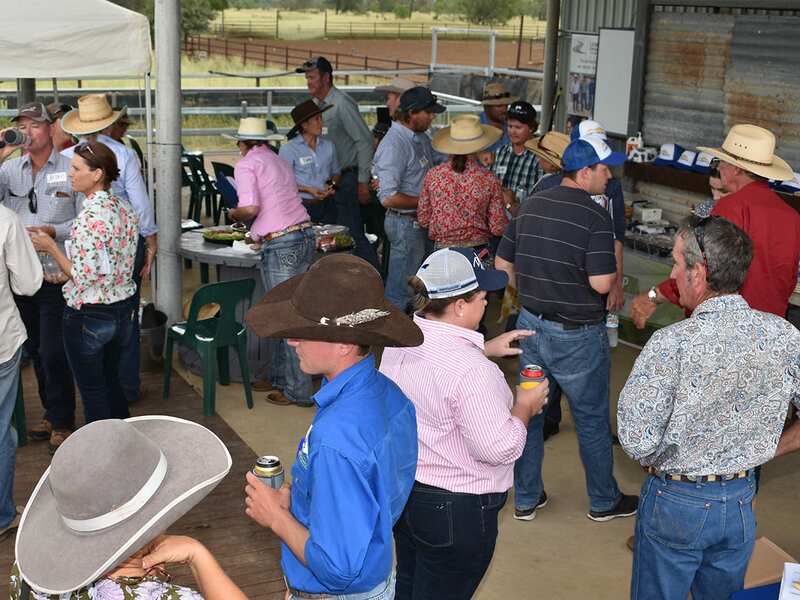 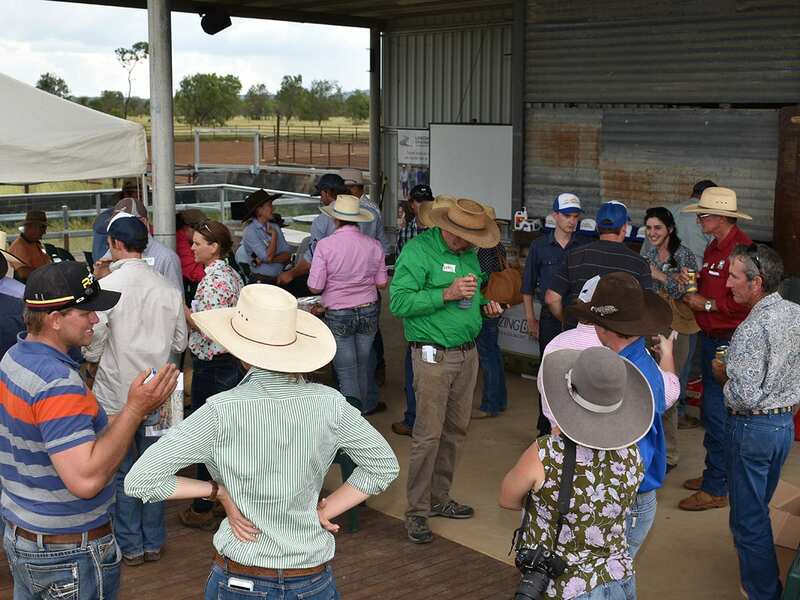 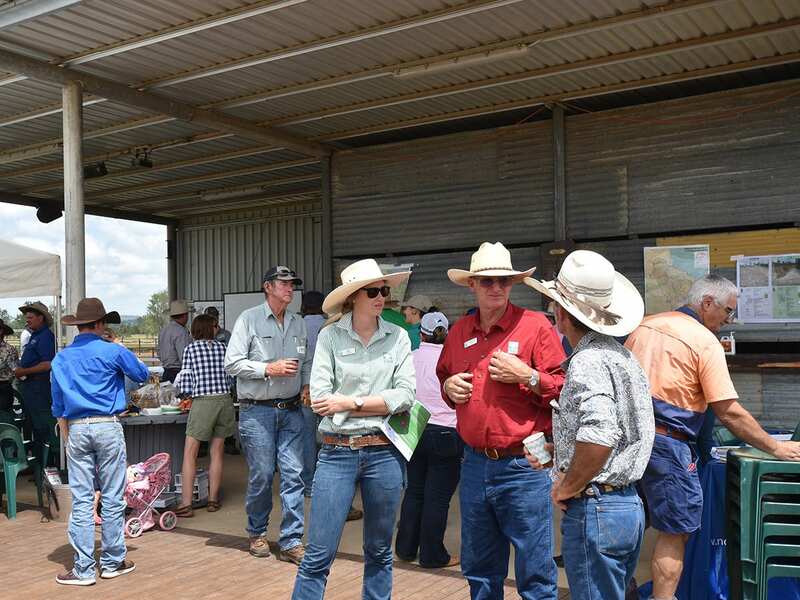 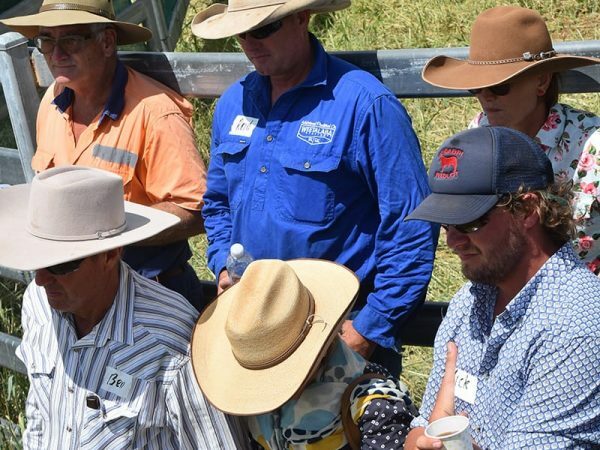 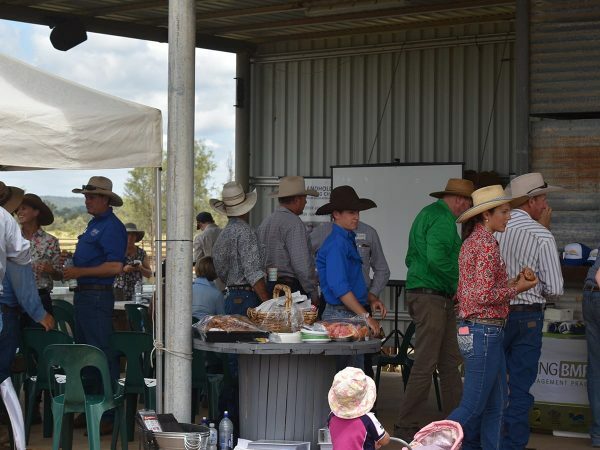 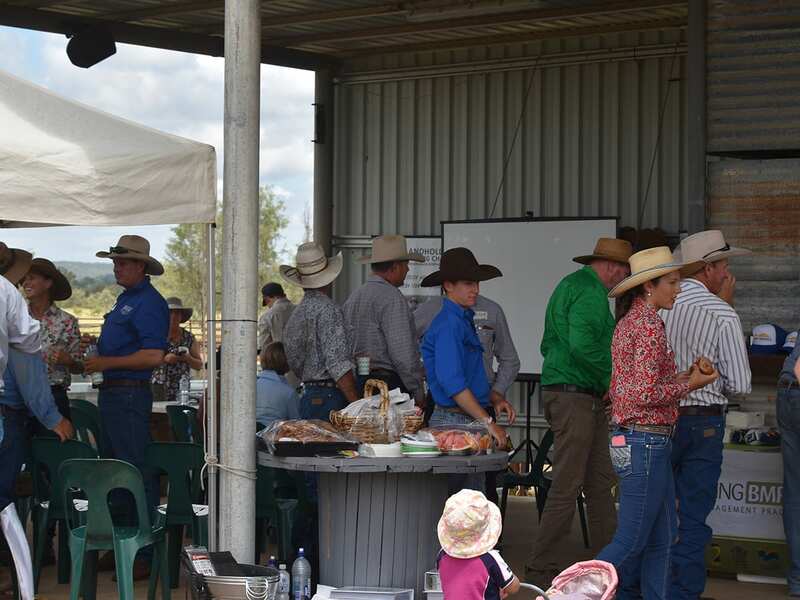 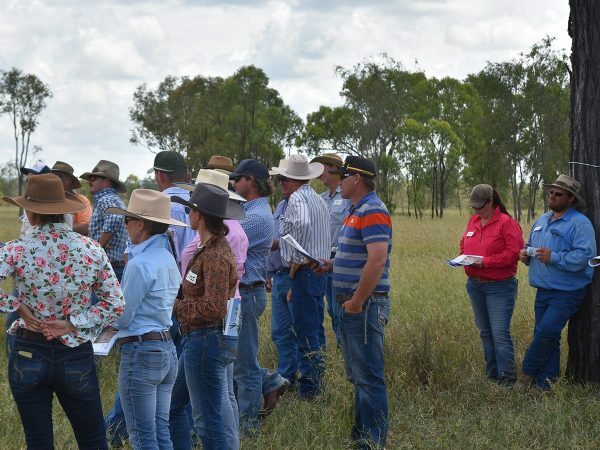 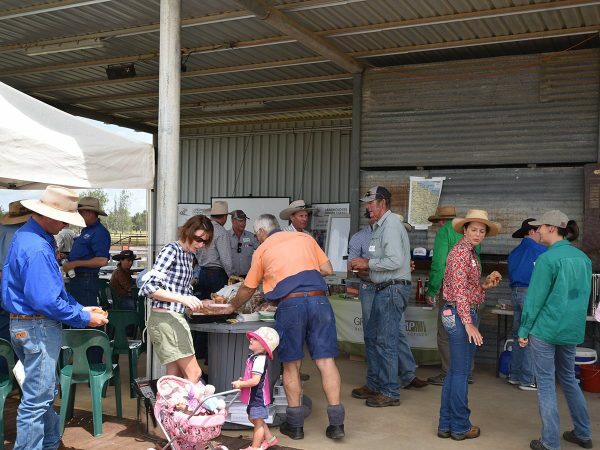 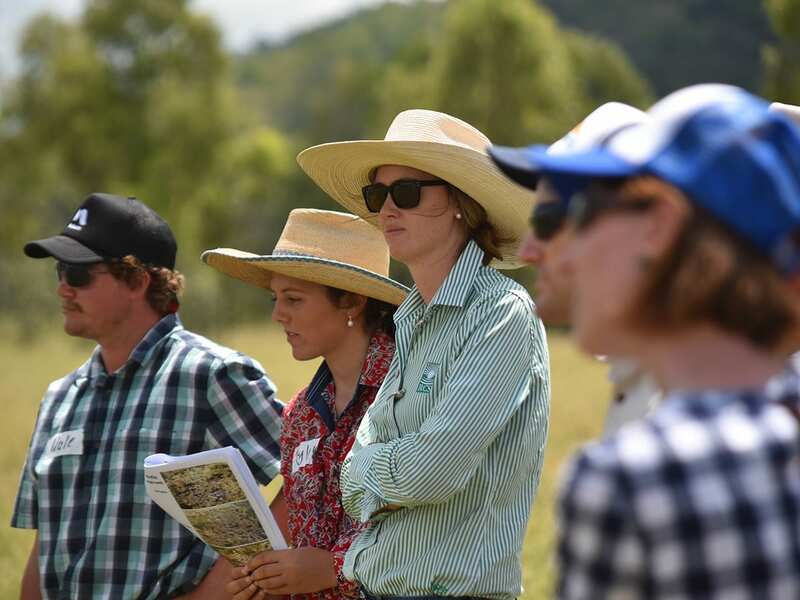 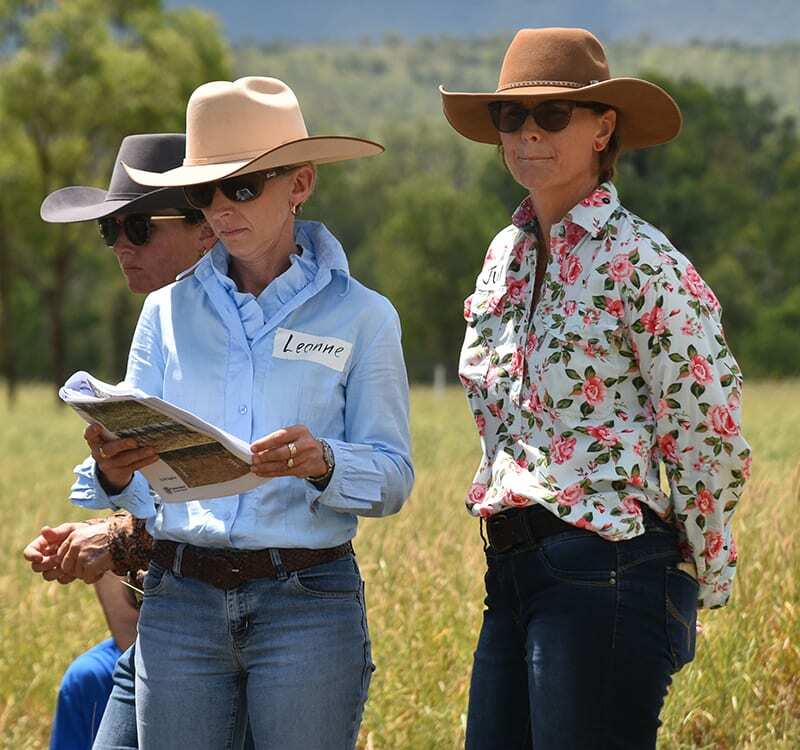 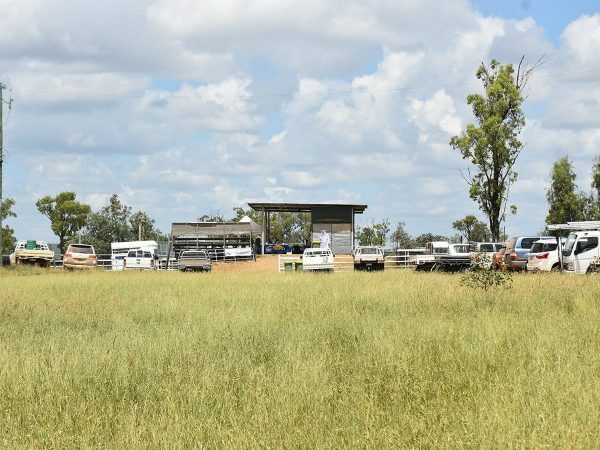 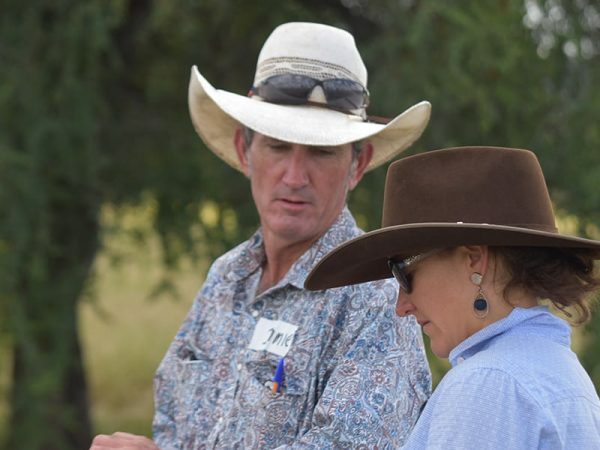 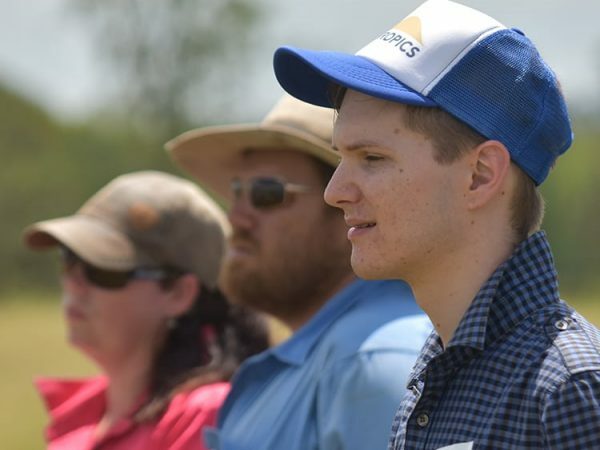 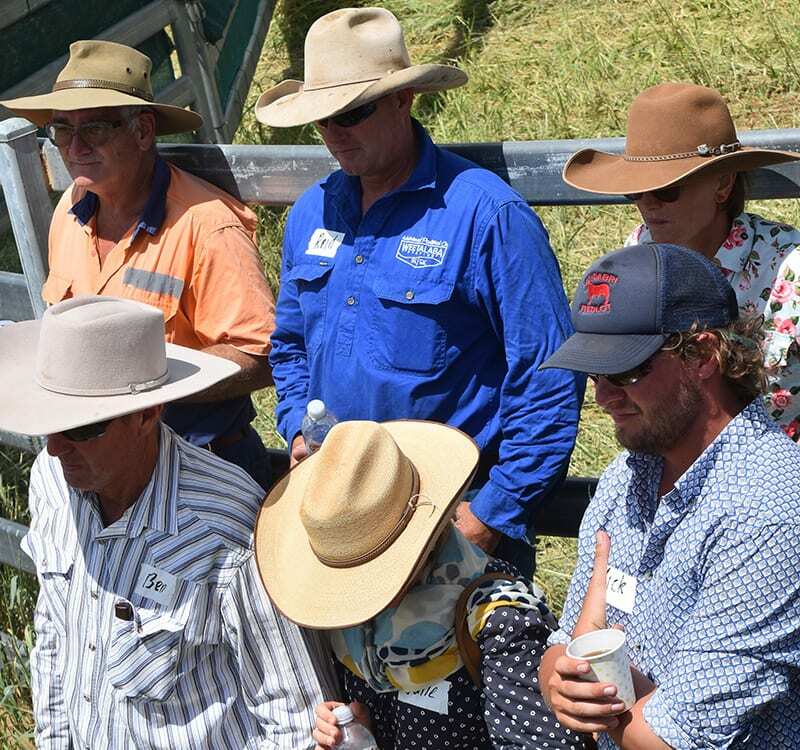 Forty people attended the Taking Stock - Managing Pastures and Productivity day to be held at Weetalaba Campdraft Grounds on 21 March. 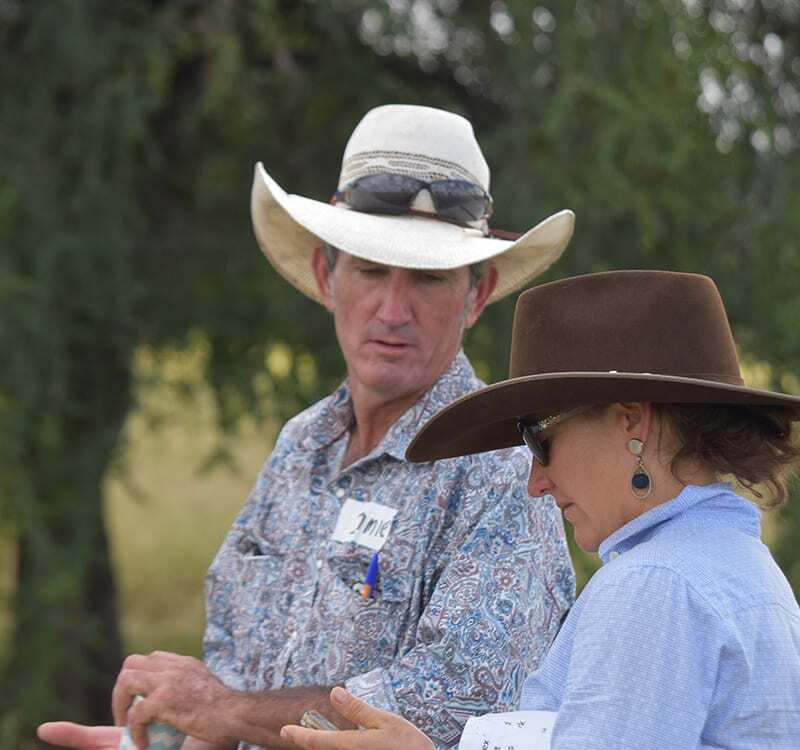 LDC's Lisa Hutchinson, workshop organiser LDC Senior Grazing Officer Brendan Smith and Peter Anderson, Glenlea Downs, near Clermont. Denton Sullivan, Mt Coolon Station, Jim Fletcher, DAF, Reid Muirhead, Weetalaba Station and Tim Moravak, DAF. 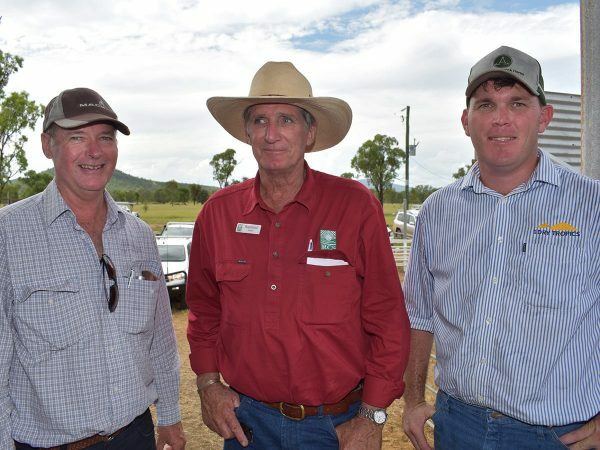 Lyle Gillham, Suttor Creek Pastoral Co., and William Fordyce, Hillalong Station, near Nebo. 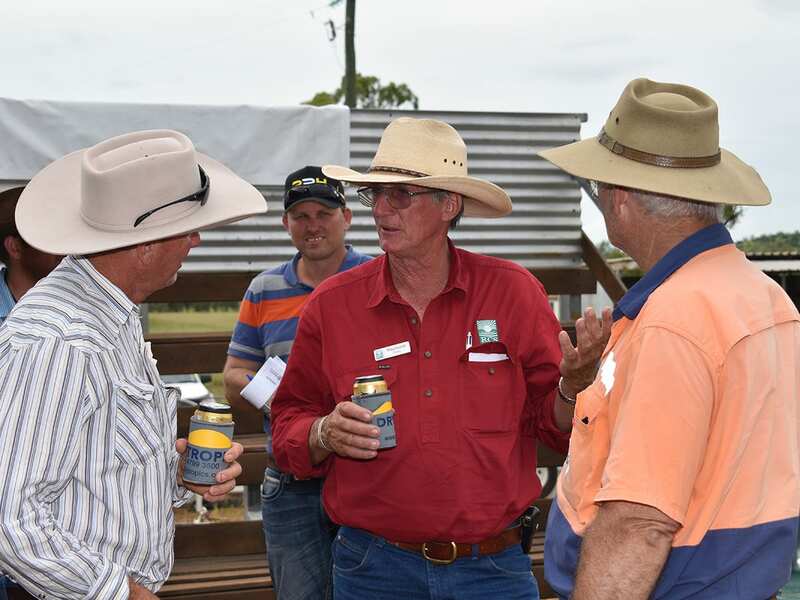 Ben Pini, Lancewood Station, guest speaker Raymond Stacey, RCS, and Garry Reid, Reeds, Scottville. 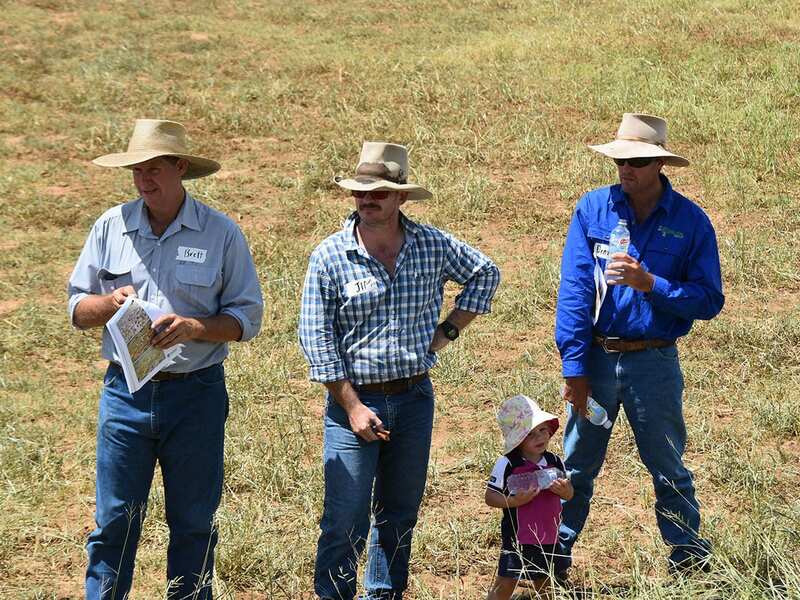 Brett Scott, Flagstone, Jim Fletcher, DAF, and Denton Sullivan and daughter Layla, Mt Coolon Station. Participants catch up for a chat during morning tea. 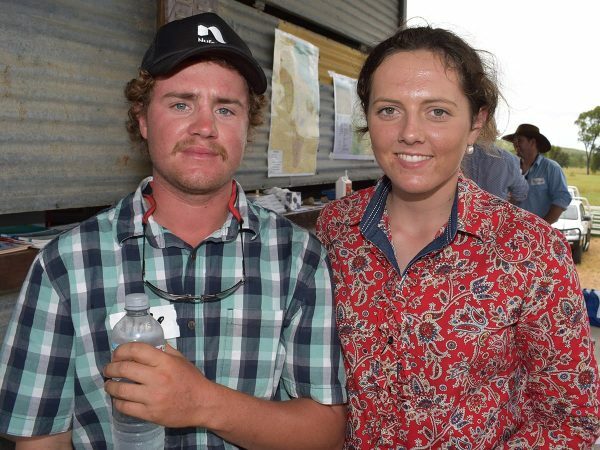 Jessie Norman, Mt Pleasant Station, and Ben Pini, Lancewood Station. 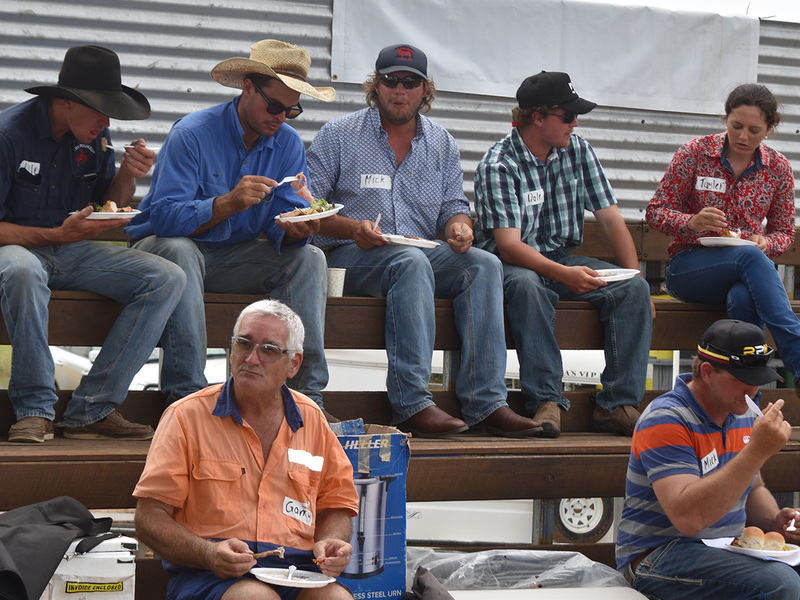 At the top, Lyle Gilham, William Fordyce, Micheal Pini, Dale Pini, Taylor Kenny, and on the lower seats, Garry Reed and Mick Shannon. 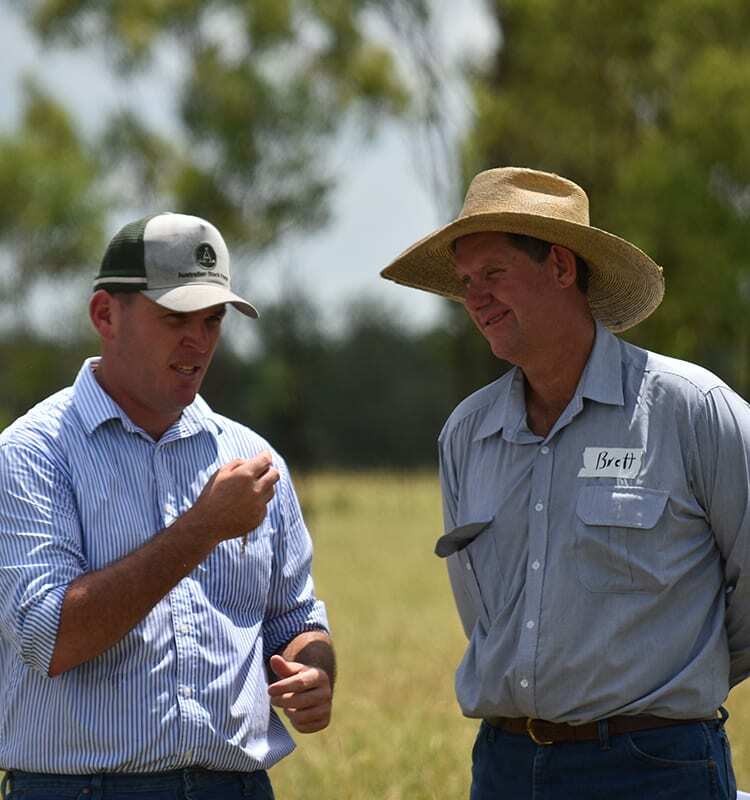 DAF's Jim Fletcher talks about the value of faecal testing and nutrition. Reid Muirhead, Weetalaba Station, Errol Comerford, Exmoor Station, and William Fordyce, Hillalong Station. 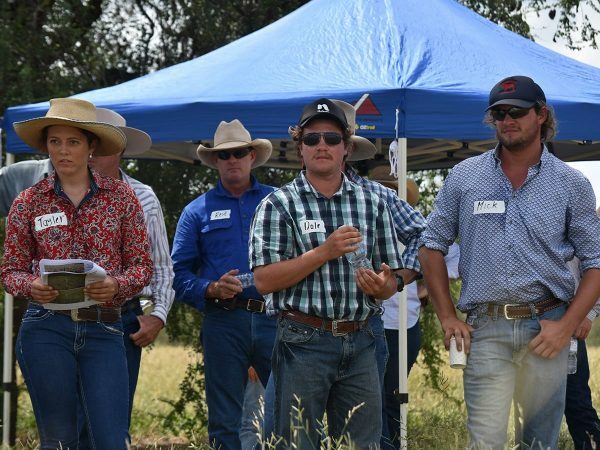 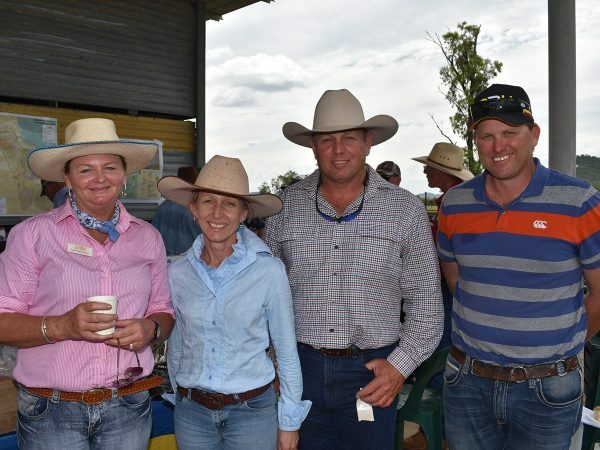 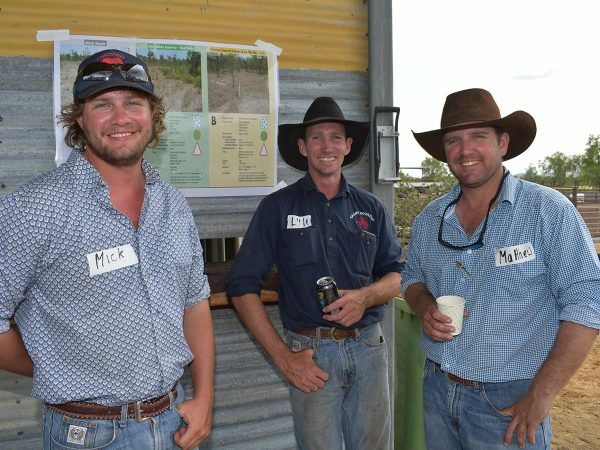 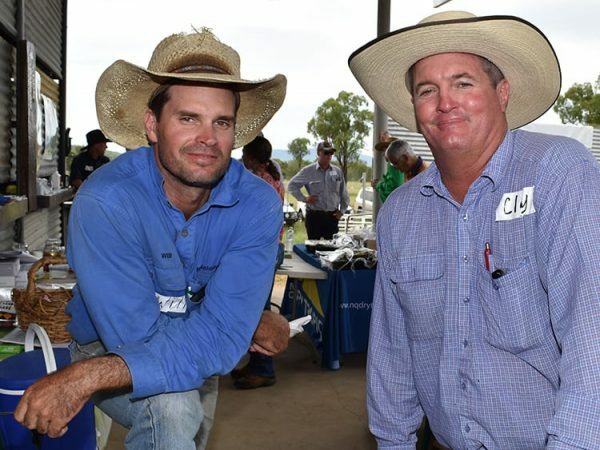 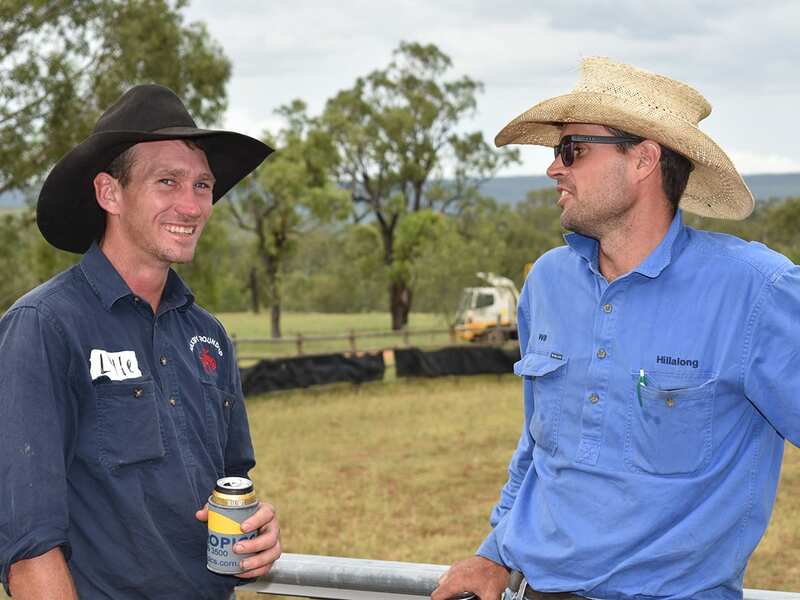 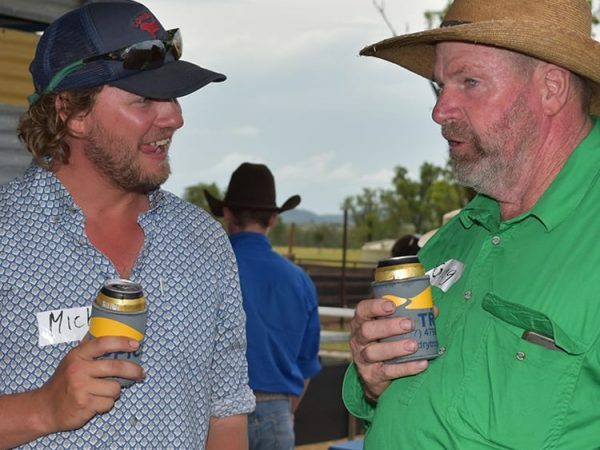 Tayler Kenny, Llanarth feedlot, Reid Muirhead (at back), Weetalaba Station, Dale Pini and Michael Pini, of Lancewood Station.